A glossy black figure scurries across your floor. Alarm bells instantly start ringing in your head. Where did it go? How did it get in here? People’s reactions to cockroaches range from subtle frustrations, to absolute terror but the desire to keep them out of our homes is universal. These unwanted guests carry diseases, cause food poisoning and even trigger allergies and asthma attacks by leaving faeces and exoskeleton fragments all over your house. Roaches can spread nearly 33 different types of bacteria, some of which can be incredibly dangerous to young children. The following guide is aimed to help you prime your house to prevent future roach outbreaks, get rid of your current roach problem, while also learning some cool facts about these not-so-cool pests. While cockroaches are more likely to get comfortable in a dirty house, even the cleanest of houses can get the occasional roach. In order to get rid of cockroaches for good, it’s best to have a firm understanding of where they are coming from in order to prevent future infestations. Cockroaches are surprisingly resilient creatures. They have been around since the dinosaurs, and have survived virtually everything the world has thrown at them for thousands of years. Part of their survival is due to their ability to live up to a month without food and two weeks without water. You’re going to have to do much more than just clean up your kitchen to keep these roaches away. Roaches are also incredibly effective at reproducing. Some female cockroaches only need to mate once and will remain pregnant for the rest of their life. That means all you need to do is attract one mama roach that scurries off into some impossible-to-find corner to have a long-term roach problem. While impressive, these statistics don’t make roaches any less annoying and potentially dangerous to our health. The most common type of indoor cockroach is the German cockroach. These little guys prefer warm, dark, and humid places near a food source, so they tend to cluster around the kitchen and bathroom areas. 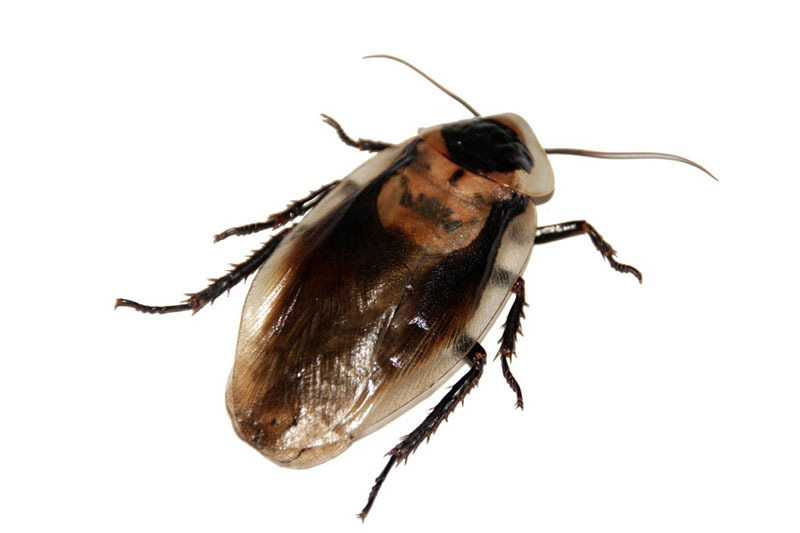 Other types of cockroaches include Oriental (mostly outside and under sinks, refrigerators, and washing machines), Brown-banded (prefer warmer and drier places, pantries, closet shells), and American (commonly found in stores and near food). There are a handful of different ways roaches can gain access to your house. If they weren’t already in your house before you moved in, they most likely come from the great outdoors through an open door or window. 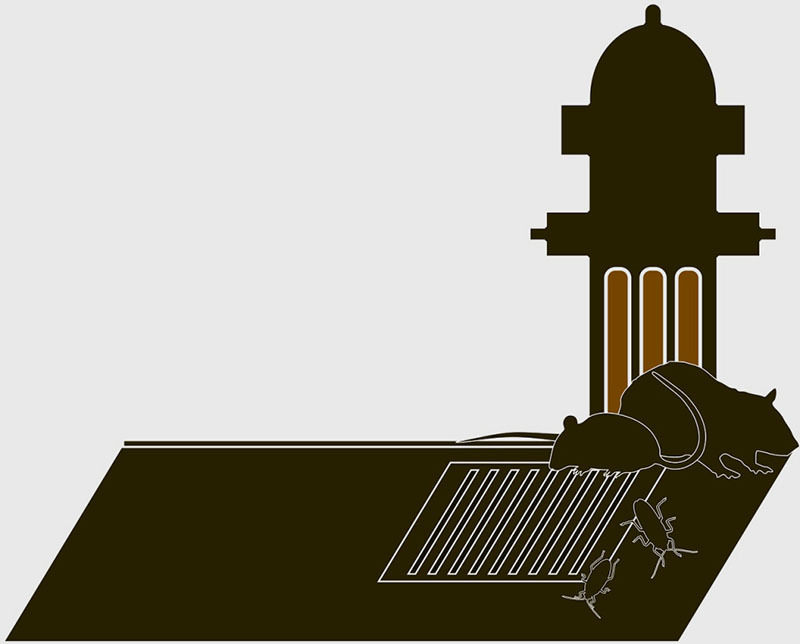 Roaches are capable of wriggling through cracks, crevices, pipes and drains. They can also hitch a ride in furniture, boxes, and even shopping bags. Though your house or apartment might be spotless, you’re not immune from getting a share of your neighbour’s cockroach problems either. If a single pregnant roach from next door gets into your home you’ll soon know about it when roaches start popping up left, right and centre. Give your shopping bags a good look for any roaches. If you shop at organic supermarkets or farmer’s markets that don’t use pesticides, you’re more likely to unwittingly bring in some roaches. Get rid of any stand alone boxes. Roaches love to breed in cardboard boxes. There are horror stories of people finding entire roach colonies in old moving boxes in the garage. If you’ve got some boxes hanging around the house, do yourself a favour and toss them. Seal holes around plumbing pipes. Plumbing is like the roach superhighway. Seal openings around windows and doors. This keeps your house safe from roaches and other pesky insects. Never leave food out, and sweep up crumbs. Since cockroaches can go a long time without any food, even the smallest meal can hold them over for weeks. Keep your rubbish in a bin with a tight lid. Keep your pantry roach-safe. Part of not leaving food out means making sure your food is locked away appropriately in your pantry. Roaches find their way into cereal boxes with a surprising amount of ease. Schedule regular pest control maintenance. Having a professional make sure that your home is receiving maximum protection from roaches, rodents, and a variety of other pests, is a phenomenal strategy to not have to deal with these troubles first-hand again. By following the above strategies, you will be able to keep your home safe from future roaches. Be sure to always be attentive of roach sightings, because if there’s one, there are likely many lurking where you can’t see them. They could be in your bathroom, garage, or worse, crawling around your pantry looking for a bite to eat. Having a good roach prevention strategy is essential to keep roaches from coming back, but it’s not the best way to get rid of them right now. The following are a handful of ways that are effective in dealing with a cockroach problem. 1. Hire a pest technician – Calling a pest management expert is a guaranteed way to take care of your roach problem. Pest technicians not only help with getting rid of the current roaches through a variety of strategies, they also help prevent future roach outbreaks by eradicating tough to reach nest areas.2. Poisonous roach baits – This route is less expensive and requires some strategy, but is very effective if done properly, again contacting a pest management expert is best.3. Adhesive traps – These traps attract cockroaches and are incredibly sticky. These are good for taking care of a roach here and there, but aren’t a substantially impactful long-term roach prevention strategy. The above strategies are excellent solutions for taking care of your urgent roach problem. Combining preventative strategies with the desire to win your home back from the roaches, will give you the peace of mind of not having to ever see that creepy little insect scurry across your kitchen floor again.